The Nikon Coolpix P310 is a rather modest upgrade of Nikon's first foray into the world of pocket cameras for keen photographers, the P300, principally increasing the megapixel count from 12 to 16 and adding a handy customisable Function button. While the increase in resolution hasn't adversely affected the P310's image quality, it hasn't improved it either, remaining on a par with its predecessor as good rather than excellent. We also can't understand the continued absence of RAW file support on a camera that is clearly aimed at more advanced users. The P310's 16 megapixel BSI image sensor produces noise-free images at ISO 100-200 but quickly starts to fall apart at ISO 400, getting progressively worse as you go up the range. The fast F/1.8 lens partly makes up for this, allowing you to use a lower ISO speed, but only at the wide-angle focal lengths, with the maximum aperture quickly becoming slower until you hit a disappointing F/4.9 at 100mm telephoto. The P310's overall image quality is pleasing, but simply not as good as its rivals. While we love the P310's extensive feature list, high-res LCD screen and the ability to shoot full HD video with stereo sound, full use of the optical zoom and creative filter effects, we can't help but be disappointed by the inexplicable inability to shoot in RAW format, one of the must-have features for this class of camera and something that all of the P310's rivals offer. And although the addition of a Function button makes it easier to access one of the camera's most frequently used features, at least 4 button presses are still required just to change the ISO if you don't assign that function to the new control, something that will again annoy the P310's core audience. 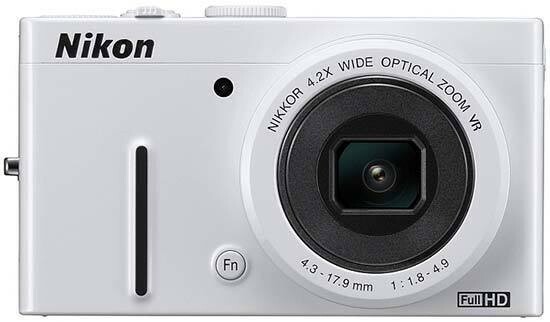 Just like its very similar predecessor, the Nikon Coolpix P310 is a good compact camera for users looking for high-resolution images, full HD video and a degree of creative control. If you also want good results in low-light, RAW format as well as JPEG, and easier access to key settings, there are better options from other manufacturers. Ultimately the new Nikon Coolpix P310 doesn't improve that much on the previous P300 and again misses the mark as a pocketable companion to a DSLR or compact system camera.